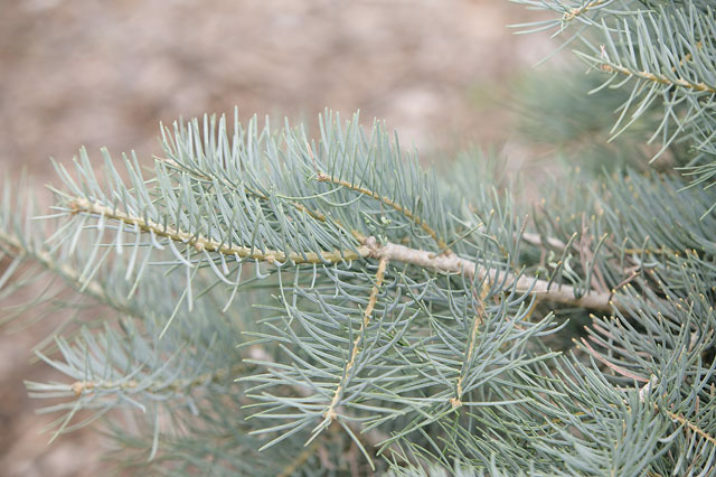 Abies concolor 'Glenmore' is an upright, conical plant with striking sky-Blue needles. Annual growth 10 inches (25 cm). Originated from Glenmore Arboretum, CO, USA before 1995. Exceptionally pale bluish needles, to 3 inches (7.6 cm) long. Abies concolor 'Glenmore' Photo copyright of Green Industry Images Donated by Ernie Wiegand.